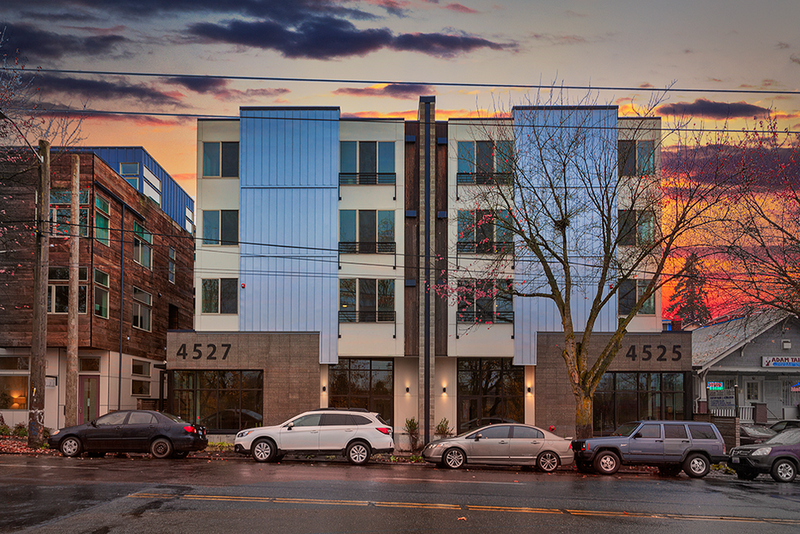 Clark recently completed the Rainier Apartments in Columbia City. 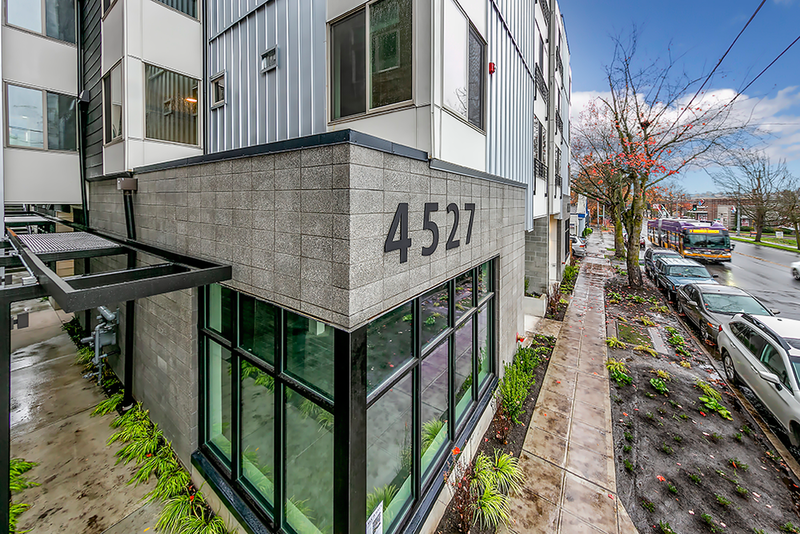 Featuring 54 units, including live-work and commercial space, in a four-story, wood-framed structure. 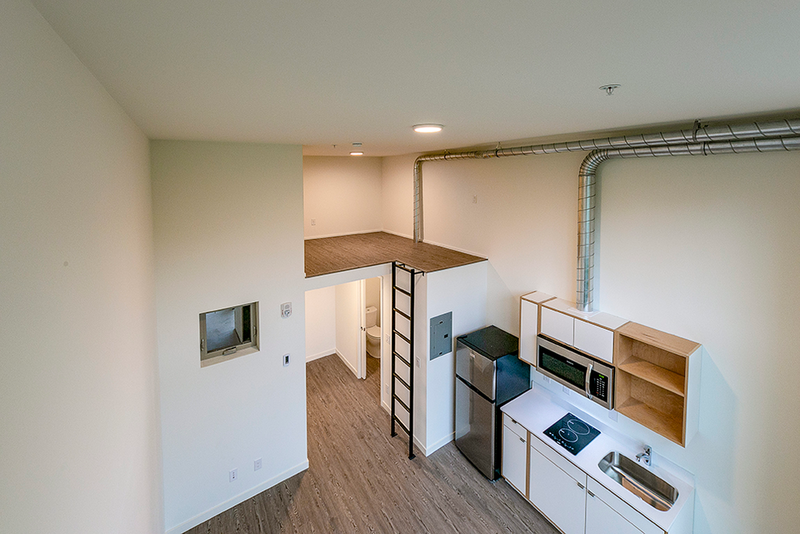 This restrictively tight site required creativity & adaptability from the Clark team throughout its construction. Photos by Kelvin Hughes.